Let us walk you through a personalized setup for your dental office. Dental Practice Pro will help jumpstart your team with the tools you need to manage your business and succeed in todays market. Payable accounts are your responsibilities to others to ensure your business runs smoothly. As you grow, it’s important to maintain good relationships with your suppliers and avoid financial mishaps. Late payments and poor creditworthiness can ultimately derail your plans for practice expansion. 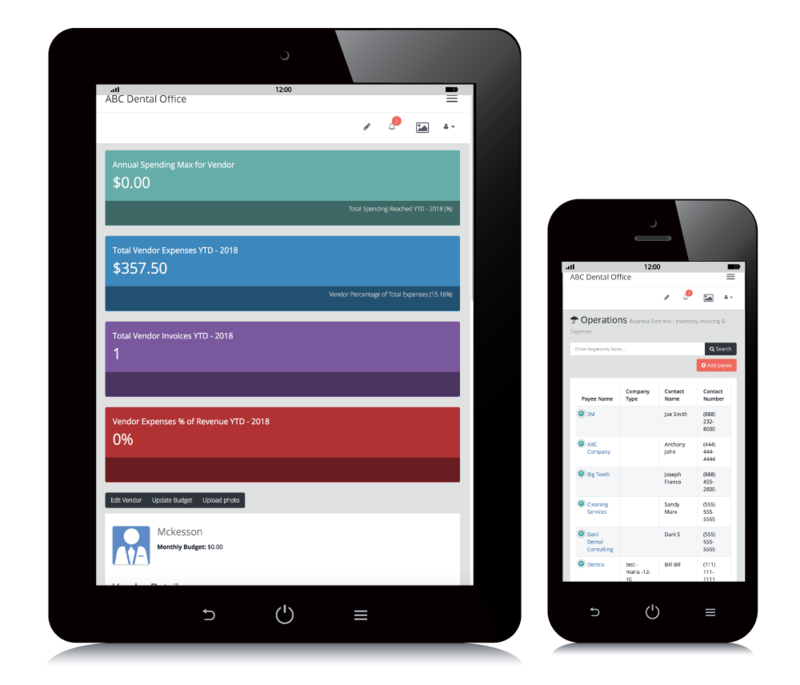 Dental Practice Pro’s cloud based dashboard makes it easy to track your accounts payable anytime, anywhere. With the operations management division tools, you can organize important account details such as bill amounts, due dates and payments. Whether managing one or many dental offices, our operations software features is tailored to the dental practice to meet your needs, offering you the dental practice owner better control over your cash flow and reporting. Please fill out all of the required fields to schedule a demo of our Finance Tools Software and one of our Dedicated Account Specialists will contact you to confirm your demo appointment.